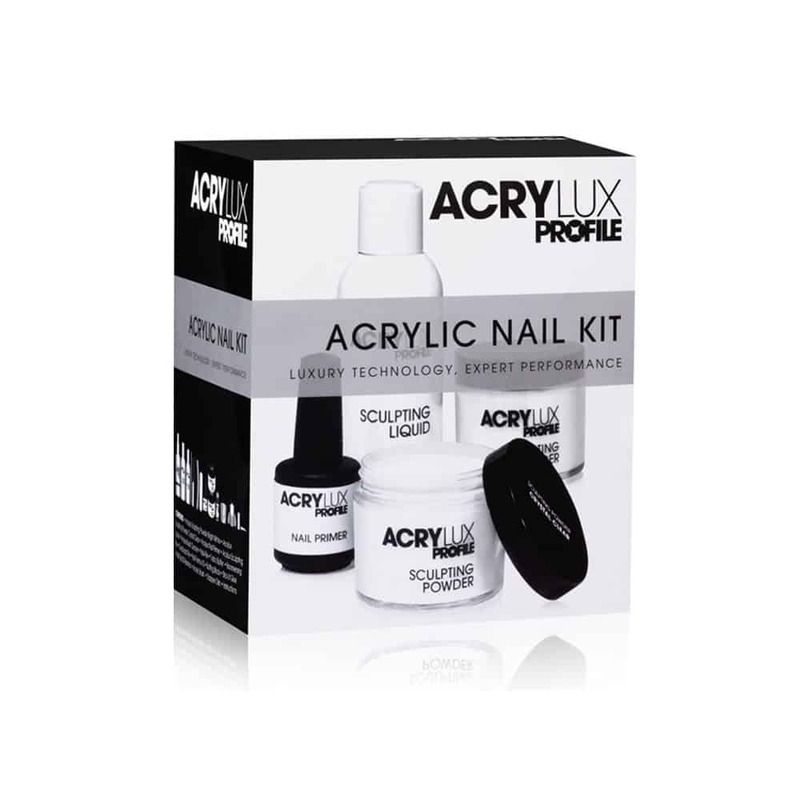 Acrylic nail extension kit. Ideal for students and training. Tough, long lasting enhancements with a luxury look, feel and finish. Kit contains everything you need to start treatment. Contents: Sculpting Powder Bright White 45g, Sculpting Powder Crystal Clear 45g, Primer 15ml, Sculpting Liquid 150ml, Brush Cleaner 100ml, Nail File Antiseptic Spray 100ml, Turbo Buffer, Boomerang File 240/240, Duraboard black 100/180, White Buffing Block, Clear Nail Forms (10), Stick-It Glue 3ml, Acrylic Brush, Glass Dappen Dish, Nail Tips 50 assorted, Instructions.